Stanford Advanced Materials (SAM) offers high purity zinc rod or zinc bar in a variety of sizes and purity. Other zinc products: Zinc Wire (Zn Wire), Zinc Sheet / Zinc Foil / Zinc Ribbon, Zinc Alloy, etc. 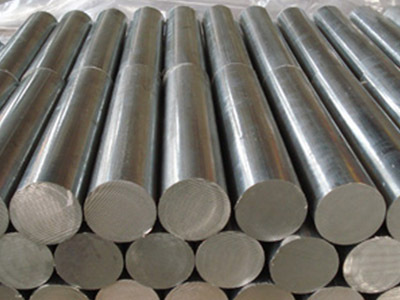 Zinc Metal is a shiny and corrosion resistant material which offers high formability. With its infinite recyclability and low-impact production method, zinc metal is environmental friendly. It is also an element which is well known by public as one of important minerals of health. Customized products are also available upon request. Zinc metal is widely applied to shipping, steel pile, floating dock, bridge, ballast tank, submarine pipeline, sluice, underwater wire rope etc. The offshore platform has great use of Zinc metal, such as port engineering and marine engineering facilities, underground cables, underground oil and gas pipelines, oil well casing, tank wall, bridge foundation, reaction kettle, concrete foundation, heat exchanger, complex water gas, box type cooler, water pipe inner wall, pump, compressor, chemical tower, container, storage tank, etc.